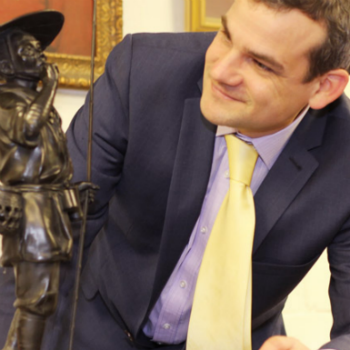 Daniel is a very experienced Valuer and Auctioneer who has specialist knowledge of pictures, furniture and works of art, with a particular reputation for expertise in East Anglian art, he was previously a Senior Valuer and picture specialist for Bonhams. “I originally trained as a teacher, but having always been fascinated by history and artefacts, was drawn to auctioneering and secured a porter job with a London saleroom. I worked around the various specialisms, becoming firstly a cataloguer for silver, ceramics and furniture and latterly became a specialist in pictures with particularly responsibility for overseeing East Anglian art sales and was responsible for a major annual sale in London. One of the most dramatic items I discovered during my career to date was a Chinese jade carving that I spotted on a bookshelf during a routine house visit. This 18th century jade comprised two tones of stone and was carved as a figure in a boat, it was quite small and slotted neatly into the palm of your hand and may on first appearance seem quite insignificant but was actually of the finest quality and went on to sell for £120,000. It’s the chance that any bookshelf might contain something of great historic or monetary significance which makes the job so thrilling, with the breadth of knowledge which our specialists have at Reeman Dansie I can undertake my job with the confidence that if it’s there we’ll find it. When I first joined the profession, it hadn’t changed in centuries, but with the advance of internet bidding, it has challenged the dominance of the London salerooms and has propelled the provincial auction houses into the International Art and Antiques market, we now compete on a level footing.